I like to believe that none of us are born bad – we are born with the potential to be great or evil, and it is our environment and our life experiences that shape who we go on to become. That’s why it’s so important to have good parents who help you understand the difference between right and wrong, and who have your back when things get rough. 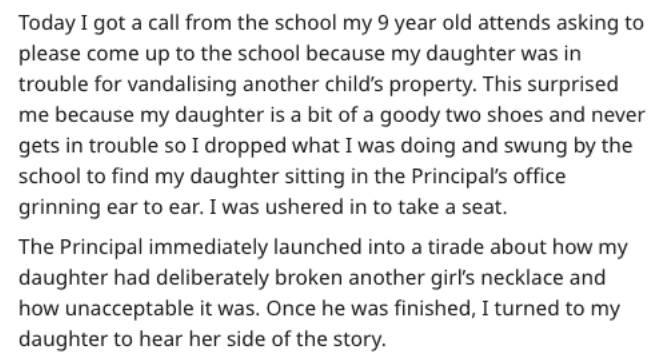 That’s what happened when this Redditor was called into her daughter’s school after an incident. 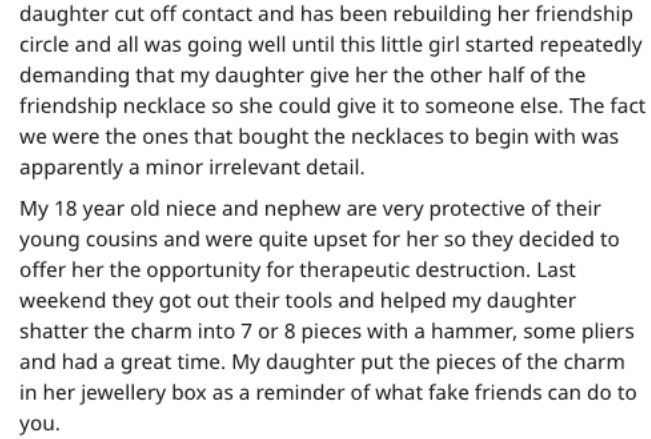 While she was ready to defend her baby tooth and nail, it turns out the young lady had already handled her problem in a rather admirable way. Oh snap! That is priceless! 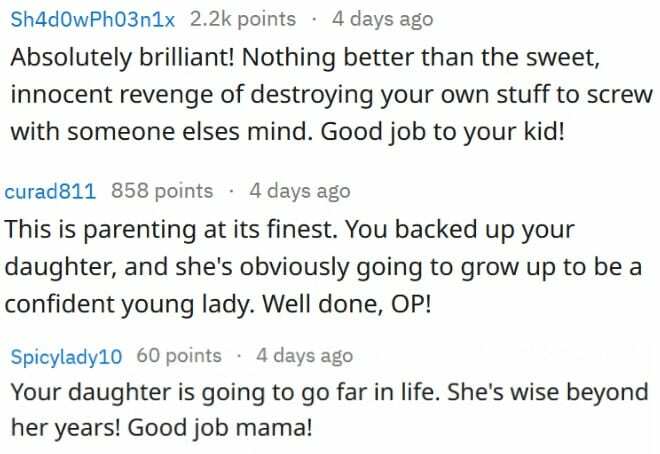 Naturally, other Redditors delighted in the way the little girl handled the situation. 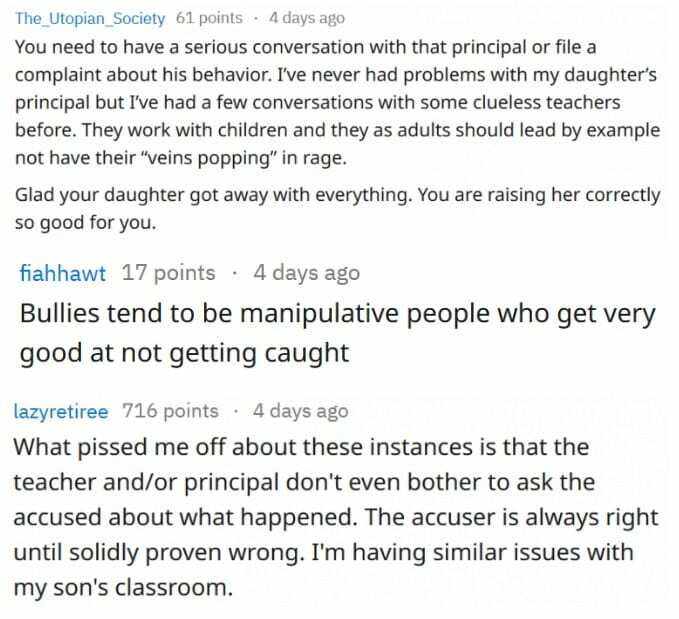 Others also pointed out that the principal’s handling of the situation left a lot to be desired. Have you ever had a situation like this? How did you handle it?